Just as the ESRI is estimating that 100 000 people will leave this green Island( that’s a 1000 people a week for the next 2 years), there is some good news on the Horizon for County Cork, as Quest will create 150 jobs at an international shared services centre in Cork. The development is supported by IDA Ireland. 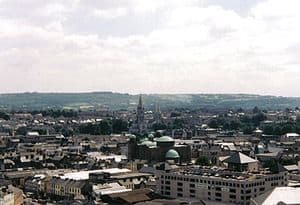 It already operates a sales office in Dublin, but it will use its new international shared services centre in the Citygate complex at Mahon in Cork to drive the growth of its business in markets outside the US.